In just a few weeks these two will have their one year anniversary! 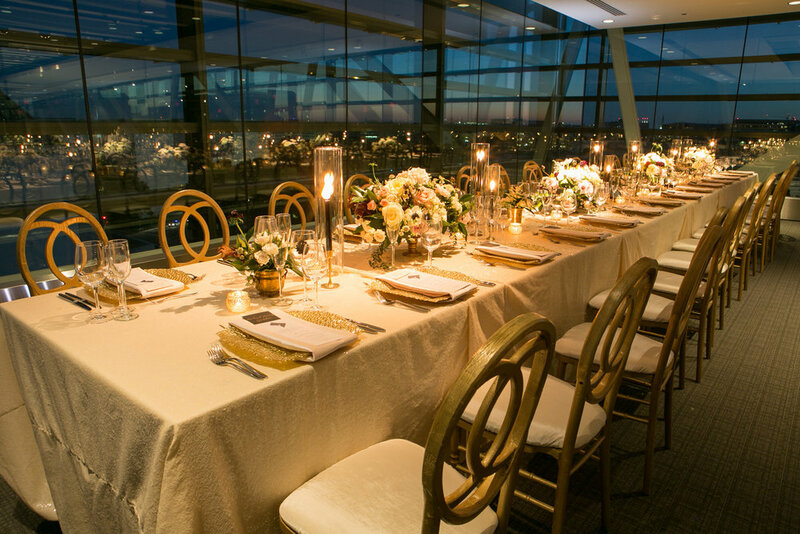 Their wedding last October at the Newseum in DC was a classically chic evening. The Newseum is such a unique venue - what a treat for out of town guests (or even in town guests!) to step out onto the terrace to this view of the Capitol building glowing in the twilight. An iconic DC view that needs no other adornment. 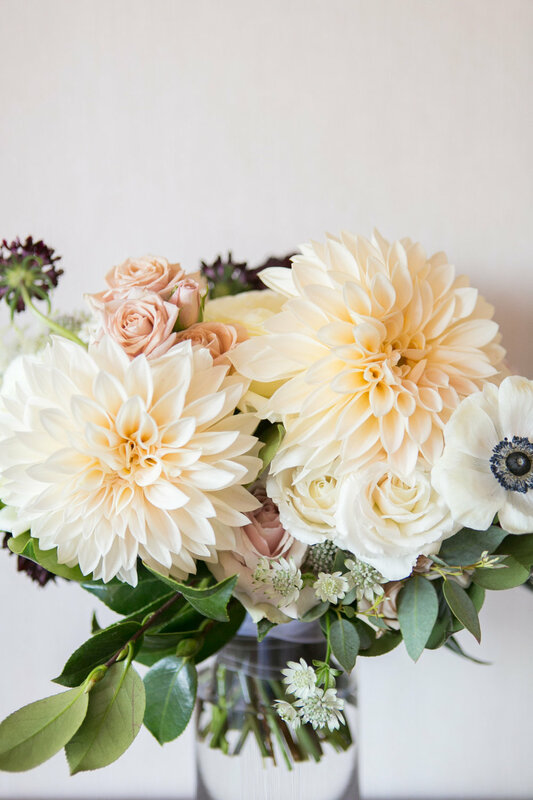 Dahlia season was in full swing at this time last year, so locally grown cafe au lait dahlias starred in the bridal bouquet and ceremony urns. 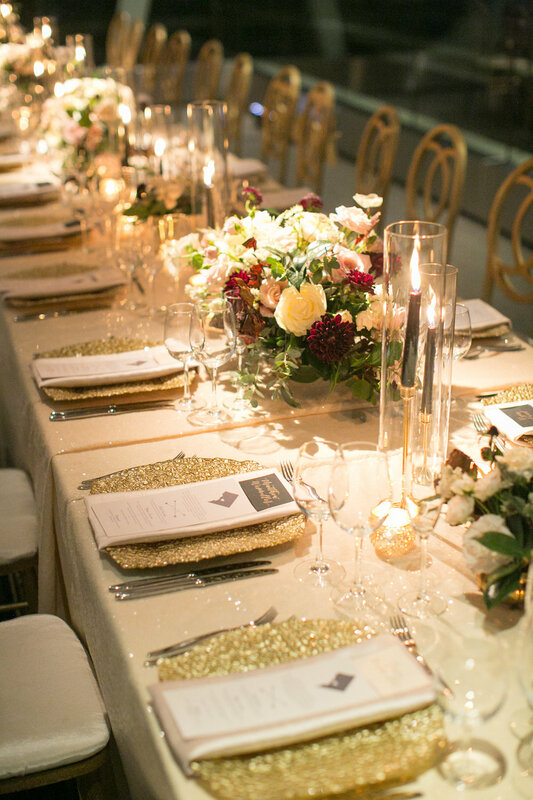 They were complimented by other creamy hued blooms including garden roses, astilbe, astrantia, and anemone and contrasted with dark burgundy dahlias and scabiosa. 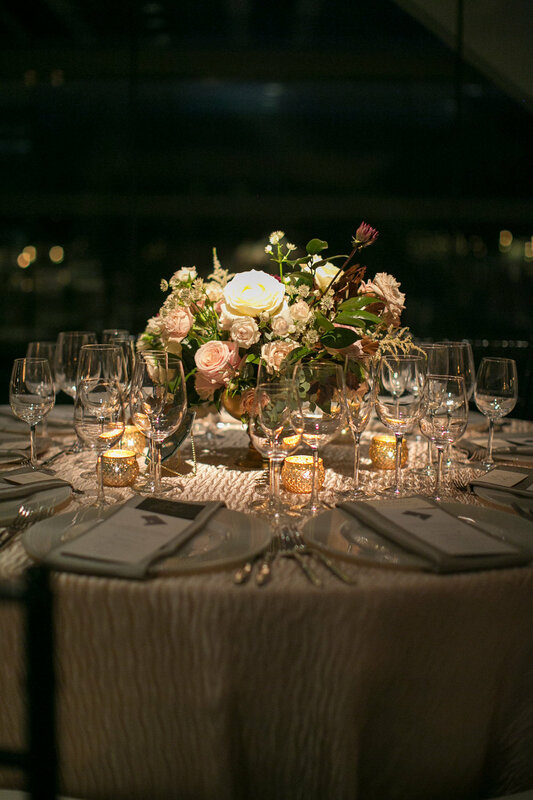 Luxe grey velvet adorned the bouquets and chair posies. 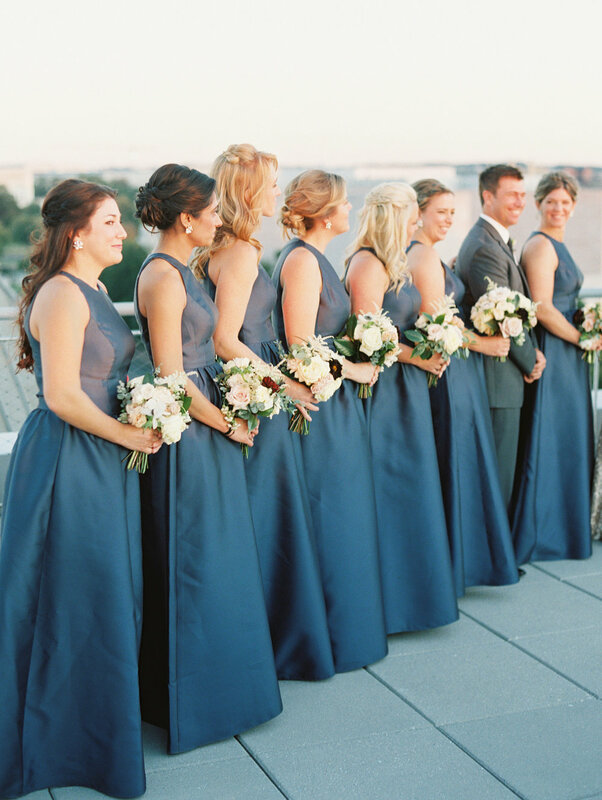 The bouquets were classic in shape, befitting of the timeless aesthetic of the bridal party, yet still natural with room for each flower to shine. Scroll through below for more of Adam Barnes' beautiful photographs including a glimpse of the beautiful Newseum reception!